For a special little girl turning 4, some extra special cake pops were in order! 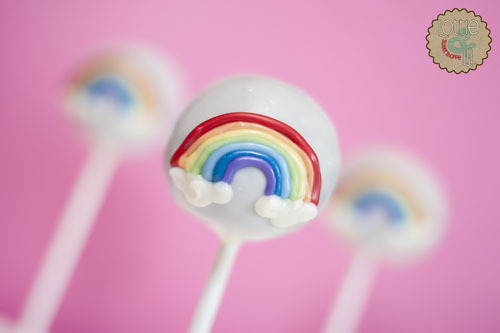 Rainbow cake pops, pink and purple sparkle cake pops along with some matching butterfly cake pops to share with her class would do just the trick. 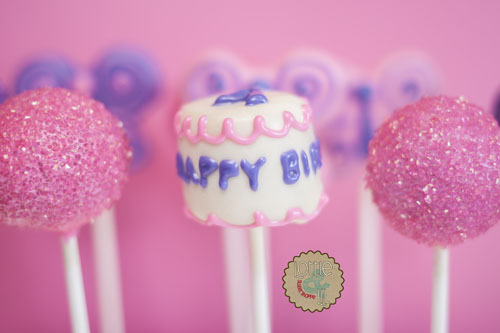 One birthday cake shaped cake pop for the birthday girl was a fun surprise for her on her big day. This entry was posted on Monday, March 16th, 2015 at 9:07 am	and is filed under Birthday Pops.